No, not kidding at all.. 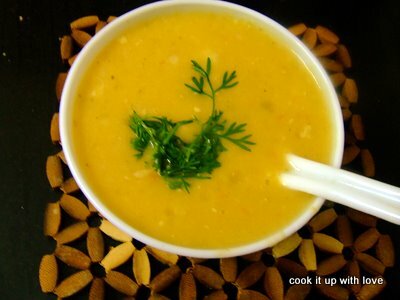 Cream of Vegetable soup can be really prepared in 3 simple and easy steps.. Steam the veggies and blend them to make a fine paste. Mix cornflour in milk, avoiding lumps. Now heat it in a pan till it thickens to a creamy texture. Add the blended veggies, mix well and add salt & pepper to taste. Ready to eat!